The Wells Foundation has been committed to making a difference in the community since its founding in the late 1880’s as a settlement house. In the last ten years, our main focus has been homelessness, particularly among youth and veterans. Our grants to nonprofits are targeted to help clients remove barriers to self-sufficiency in many ways. 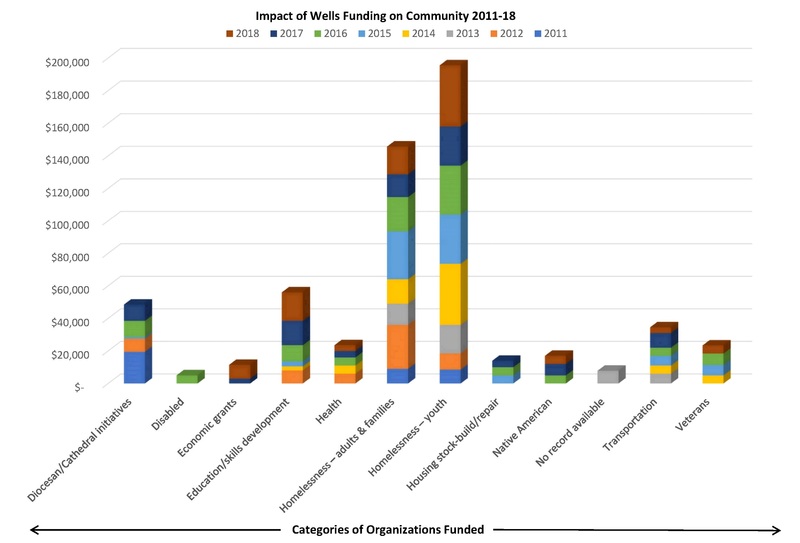 Show below is a chart which illustrates our grant categories by year and category since 2011. Information on individual organizations and projects we have funded in the last few years can be found at Grants Awarded in 2018, 2017, 2016 and 2015.